Jesus College was first founded in 1496 by John Alcock. The college emblem of a cockerel came about because of the fact that it was founded by John Alcock and it resonates with the last part of his name. However, the JCSU (Jesus College Student Union) have as recently as 2016 voted that a bronze statue of the cockerel in the college’s possession, that was taken from Benin in 1897 (now modern day Nigeria) should be repatriated. The buildings, located near to but not on the banks of, the River Cam, were originally a Benedictine Nunnery and it is thought that it was converted into a college because the nunnery had developed a reputation for promiscuity, which was diminishing its standing. 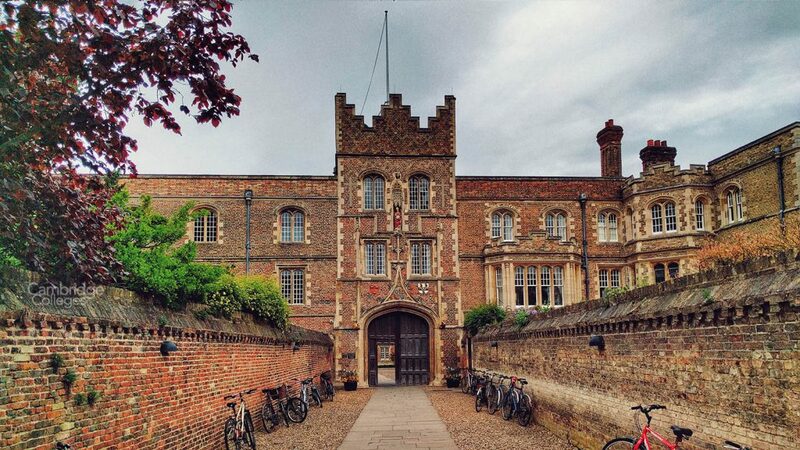 Though commonly known as Jesus College, the college’s full name is “The College of the Blessed Virgin Mary, Saint John the Evangelist and the glorious Virgin Saint Radegund, near Cambridge”. A bit of a mouthful and you can probably see why the full name is not often used. The common name comes from the college’s chapel, Jesus Chapel. 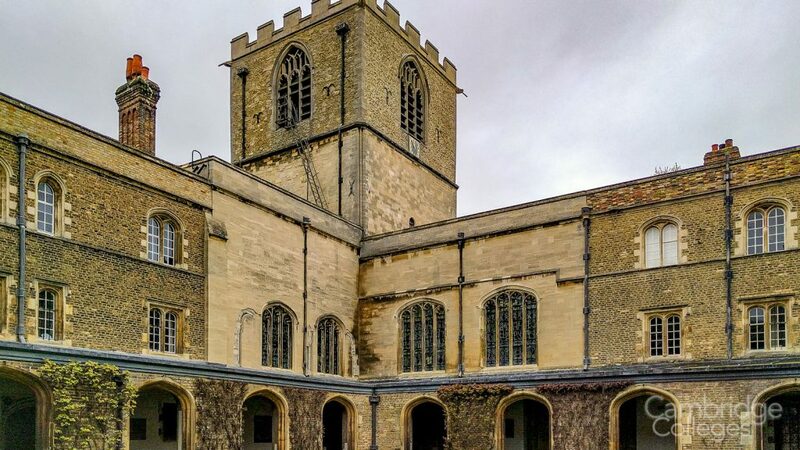 Founded in the early 11th century, the chapel is the oldest Cambridge University building still in use. 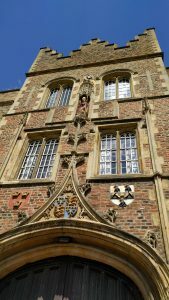 Jesus College is often thought of as the most aesthetically pleasing of the colleges that Cambridge has to offer. The college consists of the old lodging of the prioress, which later became the Masters Lodge, the old chapel, the cloister and the nuns refectory that went on to become the College Hall. The entire college grounds are described as spacious and peaceful in character and the beauty of the place attracts many visitors year after year to stay in the accommodation available on the grounds. 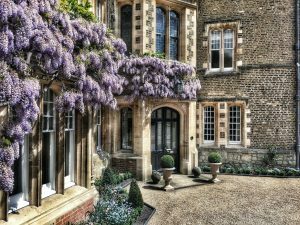 Jesus College is well known for its beautiful grounds and is one of the few Cambridge Colleges which allow visitors to take a walk on its beautiful lawns during the summer term. Assets worth around £236,000,000 make it one of the wealthiest colleges in Cambridge, although not nearly as wealthy as Trinity college. Jesus College is set back a little from the town centre, away from the river. As a result it receives fewer tourists than some of the other colleges, despite having beautiful grounds. Unlike many of Cambridge’s other old colleges the grounds are very spacious. All but one of the courts are open on one side, which is very unusual amongst Cambridge colleges. When founded the college consisted chiefly of buildings taken over from the nunnery: the chapel and cloisters; the nuns’ refectory; and the prioress’ house which became the Master’s Lodge. 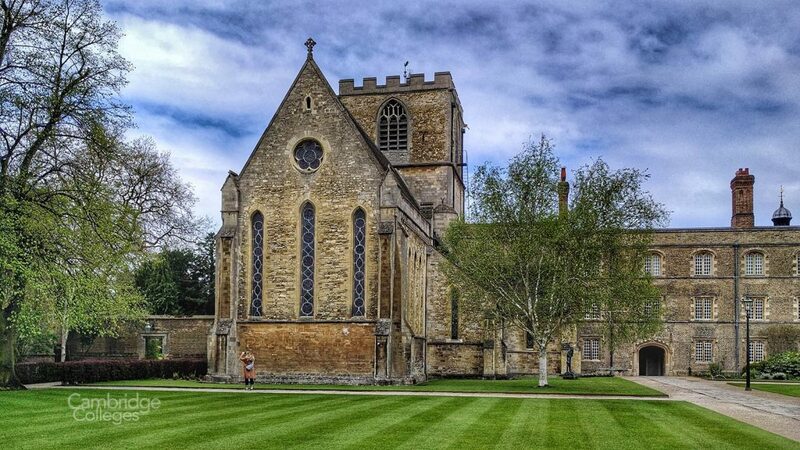 Although the chapel has since been modified and reduced in scale, this set of buildings remains the core of the college and lends a monastic character which sets it apart from other colleges. The entrance to the college is distinctive due to the walled passage leading to the gatehouse. The passage is known as the “Chimney” (from the French chemin). Unusually Jesus College permits anyone to walk on the lawns during summer term, with the exception of First Court, Cloister Court, and those which were burial grounds for the original nunnery. First Court contains the famous Jesus Horse (a statue) of which the college is very protective. Any Jesus student caught riding the horse is sent down (expelled). The college is commonly used for conference events and has all of the facilities one would expect to be available for such events such as wi-fi and presentation equipment. The setting provides an impressive backdrop to any corporate event with accommodation for guests. Many weddings have taken place there and there are 70 parking spaces available for guests. There are even summer school options available for children under the age of 16. Sports facilities include a fitness studio, squash court, croquet, football, tennis, cricket and snooker/pool. Catering is provided for events and the college boasts locally sourced produced with seasonal menus. The college also boasts a wine cellar with a wide variety of quality wines available for guests. There are a number of venues to dine at within the college to suit a variety of events. There are a total of 176 rooms available for guests. Room types include 42 single standard rooms. 80 single en suite rooms, 52 twin en suite rooms and two disabled rooms. Self catering facilities are available and all rooms have central heating and individual wash basins with single beds, desks, wardrobes and telephone facilities. Samuel Taylor Coleridge are probably the college’s most famous alumni. British journalist Quentin Letts who currently works for the New Statesman.